Chocolate Easter Bunnies are in the stores and that means only one thing - Norwescon will be here soon! This year I am so very lucky to be a panelist and get a reading slot. So if you want to find me, here's my schedule. What the Frak Is Filk? How Big a Fish Do You Need To Be? Wait. When am I supposed to feel like a success again? With two books out, Sweet Secrets and Road to Chaos, you'd think I'd feel like I made it or something. Not so much. Imposter syndrome gets all us artist types and even when it's not heavy (I'm a fraud!) it's still hard to feel proud of what you've done so far. 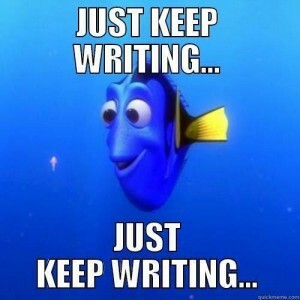 The only thing I can think of to do is keep writing. If I keep going, I'm too busy to pay attention to that evil little voice inside all of us that only tells you bad things about you. 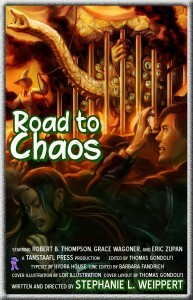 Road to Chaos is on track for a November release. I'll post the pre-order link the day Editordude sends it to me. So, without further ado, here's the cover of my next book! 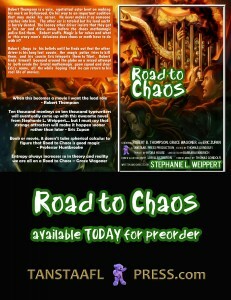 I got the editing notes back on Road to Chaos, and it sounds like they aren't too extensive, so the book is still on track to come out this November. Happy Dance. This is very good, as it has been confirmed that I will be a pro at this year's Orycon, which happens mid November. My writer ego is so looking forward to placing two, Yes Two!, published books in front of me at my panels. Squee! If you need a reason to go, one of my writing idols, David Weber is the Guest of Honor and I plan on bringing at least one Honor Harrington book for him to sign. Orycon also has an Editor Guest of Honor, who is Diana Gill this year. I hope to get a chance to listen to her over drinks sometime that weekend too. Outside of writing, the artist Guest of Honor is David Mattingly, and Mark Osier is the filk Guest of Honor. Which does remind me that the filk band I perform in, Starlight, got a concert at Orycon as well. Whew, will I ever be busy, but I still would love to see you there. Please look me up. I love to have people come up and say Hi! Now, the sad news. I'm behind on the sequel to Sweet Secrets. I had almost 9,000 words written, but I don't anymore. The hard drive on my laptop crashed and I found out that I hadn't emailed it to my husband like I thought I had, so when I get done kicking myself for not doing what I should have done, (In my defense usually do. Really! I don't know why I didn't this time. ), I get to start all over again. In less than five days, I'll be at Westercon in Portland, OR. I hope to see you there. If you want to find me, they scheduled me for these panels. Want fast feedback on your writing? Try an Open Read & Critique (ORC) session! Read the opening portion of your short story or novel aloud and receive instant, Clarion-style critiques. This is an opportunity to receive peer feedback on your manuscript before you send it to agents or editors. You must sign up ahead of time to participate, sign ups will be available at the convention. 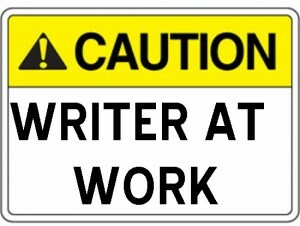 Do you outline a story or just wing it? How do you plot a novel from beginning to end so there's enough structure, but not so much you write yourself into a corner? I've got an INTERVIEW! Squeeee! Got a call a few days back from Editordude asking if I wanted to be interviewed by Krypton radio. Of couse I couldn't tell him YES! fast enough. So if you want to hear me charm the soxs off Gene Turnbow and Susan Fox go to Kryptonradio.com on the following dates and times. If none of those times work for you, afterwards I've been told it will available on their main website. Now, brown, blue, and yellow each has a place in our language, but when that's the only colors used in the whole book? Change it up! Yeah, a saddle is brown and so is dirt, but they are not the same color for goodness sakes. 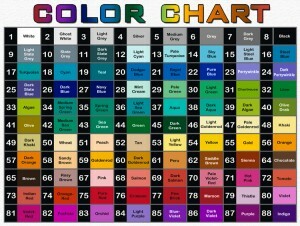 Google a color name wheel and use it. Please! Use teal, royal, and blue for character's eyes, because honestly, have you ever seen two people with exactly the same color blue eyes? I know I haven't. So, get creative and decide that your handsome man in your romance doesn't have boring old brown eyes, your protag sees dark chocolate colored eyes. See what I did there? If I told you the protag (male or female) is in love with that man you'd believe me, right? I got across the point with just how I described the man's eyes to the protag. It's sneaky, but this subtle writing technique works and works well. So, use that color wheel writers!